News > 2016 > Are the surplus billions a mirage? Are the surplus billions a mirage? 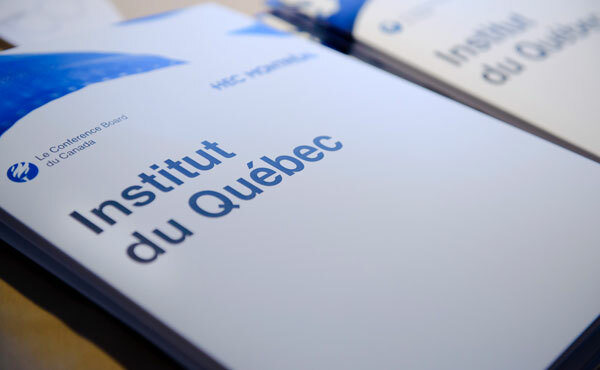 According to the latest financial simulations released by the Institut du Québec (IdQ) and preliminary government data, the Quebec government may be looking at large surpluses for the fiscal year ending March 31, 2016. Nonetheless, even if there are actually surpluses for 2015–2016, the likelihood of recurring surpluses of several billion dollars is highly unlikely, says the latest IdQ study. “For the economic update and the upcoming budgets, the government now has a several hundred million dollar surplus that gives it some room to manoeuvre. But this doesn’t mean that it can be put toward all kinds of costly new programs or new income tax cuts,” says Mia Homsy, Director of the Institute. The provincial government accumulated an operating surplus of $3.5 billion, of which $1.5 billion must legally be paid into the Generations Fund to reduce the debt. This means that it recorded a surplus of almost $2 billion, in the meaning of the Balanced Budget Act. It might be tempting to suggest that money be used to pay for new services (or to restore services that have been cut or reduced), or to reduce income taxes. “By law, these surpluses must go into a stabilization reserve fund. The government will have to resist the impulse to announce new programs or tax cuts, and leave these amounts in the reserve fund, as it is legally required to do. This will give it a cushion to protect services in the event of another recession,” maintains Homsy. How much should the government accumulate in the stabilization reserve fund? The latest recession cost Quebeckers $13 billion, equivalent to nearly 13% of the budget. This is a considerable amount, added to the public debt, and shows that it is an excellent idea to accumulate large amounts in the stabilization reserve fund when economic growth makes that possible. Another impact of a future recession is the way it would limit the government’s room to manoeuvre in terms of fiscal policy. Taxation is one of the government’s most valuable levers for balancing its budgets. However, as compared with its neighbouring provinces and the United States, Quebec already makes abundant use of its powers in terms of personal and corporate income tax and sales tax. The proof is that Quebeckers already bear a heavier tax burden than their fellow Canadians. What impact do past surpluses have on choices in the next budget? By returning public finances to a healthy footing, the government gained a margin of manoeuvre of some hundred million dollars. But it is illusory to think that this can be used to fund new tax cuts or costly new projects, since it is already subject to a number of constraints. “In many of its reports on budgetary and fiscal forecasts, the IdQ has clearly stated and reiterated that growth in healthcare spending of less than 4.2% per year is not sustainable in the long term. The pressure on the healthcare system by the aging population will cause costs to rise naturally by about 5.2% annually,” Homsy notes. Moreover, given the structural problems facing Quebec, bold measures to put the educational system back on track are essential. These measures will have to be accompanied by the funding required to put them into action. Without any change in the current budget rules, the need to respect the debt reduction targets to close the existing gap will also create constraints. And unless the debt reduction targets for 2025–2026 are readjusted (which does not seem to be the case so far), the government will require additional surpluses of over $1.3 billion annually to meet these targets. With all these challenges on the horizon, new projects can be introduced only if they replace outdated or inefficient programs. And for the moment there does not appear to be any latitude for new tax cuts.